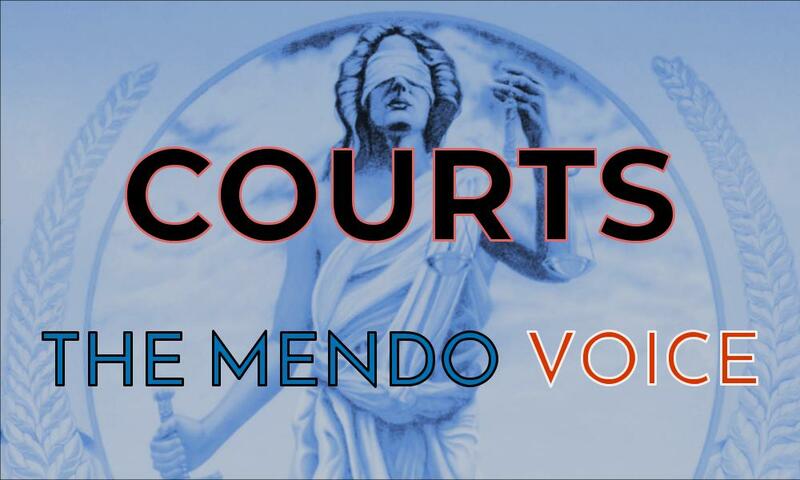 MENDOCINO Co., 10/09/18 — Negie Fallis and Antonia Bautista-Dalson, both from Covelo, pled no contest to felony charges related to Fallis’ unlawful possession of a firearm in Mendocino Superior Court today. The charges stem from an incident in February, during which Fallis was arrested and subsequently found to have been in possession of a firearm, which his girlfriend, Bautista-Dalson, helped him hide from law enforcement. In an apparently unrelated development the Round Valley Indians Tribes Council l (RVIT) has issued a statement asking for people with information about the disappearance of Khadijah Britton to come forward. Fallis has already served time for felony child abuse, and he will face up to four years in prison. 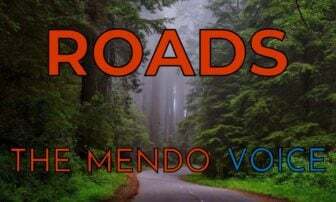 Bautista-Dalson “can be granted supervised probation with up to one year in the county jail or be sentenced to local prison for up to three years,” according to a statement from the Mendocino County District Attorney’s Office. Both Fallis and Antonia Bautista-Dalson are out on bail, and are scheduled to return for sentencing on December 4 and 11, respectively. A no contest plea is effectively equivalent to pleading guilty, but without actually admitting to guilt. Fallis’ February arrest was for charges related to an alleged violent attack on Khadijah Britton, a Covelo woman who was last reportedly seen on February 7. On that day, witnesses told police Fallis, a former boyfriend of Britton’s, reportedly forced Britton from a Covelo residence at gunpoint. He remains the primary suspect in her disappearance, but no charges related to her disappearance have been brought against him. Despite ongoing searches by law enforcement and community members over the last eight months, Britton remains missing, and the investigation into her disappearance remains open. The Round Valley Indian Tribes (RVIT) issued the first of several planned statements on October 4 calling for anyone with information about the disappearance of Khadijah Britton to come forward, to either tribal members, law enforcement, or Britton’s family. “The family has been through enough, and they deserve some relief,” explained James Russ, tribal president, in a phone interview. Russ said that the call for information is the first in a series of press releases that the tribe is planning, to call attention to the woman’s disappearance and encourage community members to share tips. “We’re hoping this leads to something,” he said. Britton was 23 at the time of her disappearance, but her family has seen her 24th birthday come and go without receiving any new information. Her family continues to offer $50,000 for information leading to locating her. No charges have yet been brought in connection to Britton’s disappearance. Russ said that the RVIT Council has been looking for ways to assist with Britton’s disappearance for some time, and that individual councilmembers who are related to her, have been supporting Britton’s family, or assisting individually in others ways — but the council wanted to take additional action. “We were just really perplexed, like everyone else we’re not sure what to do, there’ve been search parties, and a lot of effort [towards finding Britton], but so far nothing’s turned up positive yet.” After a tribal council meeting with Britton’s family, representatives from the Mendocino County Sheriff’s Office, councilmembers decided to issue a series of public statements. Fallis is next scheduled to appear in court on December 4 at 9 am in Judge Cindee Mayfield’s courtroom. Bautista-Dalson is scheduled to appear on December 11 at 9 am in the same courtroom. Both remain out on bail until sentencing. Here’s the full statement from the RVIT, below. The Mendocino County Sheriffs Office continues to seek any information related to Britton’s disappearance, and her family is offering a $50,000 reward for any information that helps find her. Anyone with information about Britton should contact the MCSO tip line at (707) 463- 4086 or the tip line (707) 234-2100. 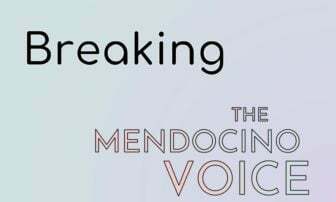 You can read The Mendocino Voice’s complete coverage of Britton’s disappearance and Fallis' legal proceedings here. Tragically, Khadijah Britton, a 23-year-old tribal member of the Round Valley Indian Tribes, has been missing since February 7th, 2018. Many searches by Khadijah’s family and other concerned community members have ensued with no answers for her family and friends. The family continues to diligently search for their loved one in and around the RVIT Reservation Boundaries and beyond, hoping desperately to have some answers about her disappearance. The Tribal Council of the Round Valley Indian Tribes is urging anyone who knows the whereabouts of Khadijah Britton to come forward. There is a general knowledge amongst many Tribal members that someone knows Khadijah’s whereabouts and are too afraid of possible consequences to come forward. As the leaders of this tribe we urge these people to come forward. The family of Khadijah Britton deserves to know the whereabouts of their precious child and to have peace of mind. Eight long months have passed with continued heartbreak for the family. The spark of hope that Law Enforcement might use enforcement tactics to compel information from the ex-boyfriend, Negie Fallis IV, the prime suspect in Britton’s disappearance has proven empty. The only hope to find Khadijah Britton is for this community to come together and encourage those who know her whereabouts to step forward. The anonymous tip line has been circulated for months and we urge those who know anything to call this number with complete anonymity and confidentiality. Also there is a $50,000.00 reward for the return of Khadijah Britton. We urge anyone with information to come forward. This tragedy must end; the family of Khadijah Britton deserves to know her whereabouts and Khadijah Rose Britton deserves to come home. From the Round Valley Indian Tribe Council.